Women in Hats is how Corningworks describes this photo from their ‘Six A Breast’ production. photo: Frank Walsh. September is a relatively lean month in Pittsburgh’s live theater schedule, as the summer musicals and touring shows are gone, and some resident companies (along with the university departments) don’t open their fall-to-spring seasons till October. But does that mean you should stay home and watch ‘way too much football on TV? Uh-uh. Each year there are gems to be found. Past Septembers have featured knockouts such as Quantum Theatre’s The Winter’s Tale and Throughline’s The Censor, both rated by Entertainment Central as among the best productions of any recent years. Astute fans will therefore cast a keen eye on the current lineup, which holds significant promise. Early in the month we have Red Hills at Quantum and A Masterpiece of Comic … Timing at Little Lake. Near the end come Peter Shaffer’s stunning, enigmatic Equus (at The Public) and Eugene Lee’s August-Wilson-like ensemble piece East Texas Hot Licks (Pittsburgh Playwrights). In between are a pair of shows with social justice themes: the highly lauded musical The Scottsboro Boys at The REP and Mark Clayton Southers’ The Homestead Strike of 1892. For comedy, try the vintage hooter Boeing Boeing at Apple Hill—or the new Halley Feiffer play with a realllllly long title, A Funny Thing Happened on the Way to the Gynecological Oncology Unit at Memorial Sloan-Kettering Cancer Center of New York City, at City Theatre. Furthermore: Pittsburgh-based theater artists Frank Ferraro and Adrienne Wehr present their experimental multimedia play In The Company of Ghosts. Two original dance shows are on tap, Texture Contemporary Ballet’s Boundless and Corningworks’ Six A Breast. Community theater groups forge on with Murder for Two at The Mountain Playhouse, Vintage Hitchcock at South Park Theatre, and Little Lake’s second(!) of the month, Middletown. Shows are previewed in order of run dates. This month’s Theater Guide is a joint production of , Christopher Maggio (CM), Rick Handler (RH), and Mike Vargo (MV). THE DIXIE SWIM CLUB by Jessie Jones, Nicholas Hope, and Jamie Wooten. Through Sept. 2, Apple Hill Playhouse. Can you have good times re-living the bad times? 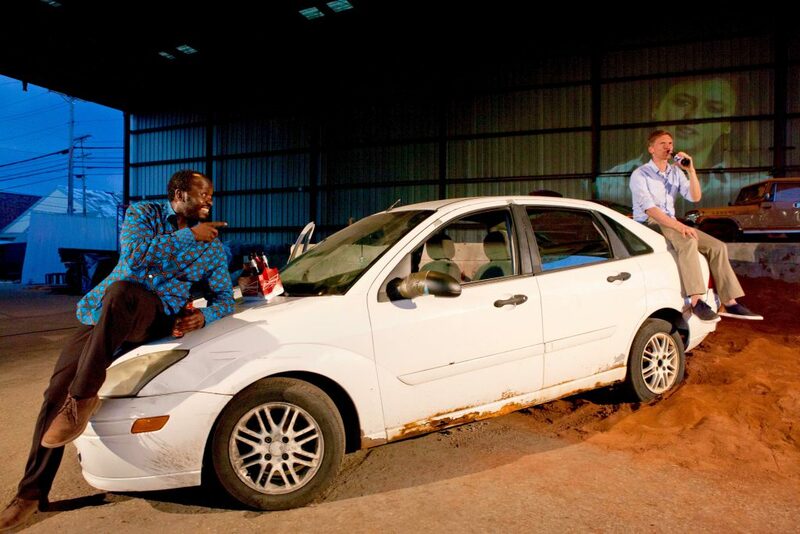 God’s Blessing (Patrick J. Ssenjovu, L) and David (Scott Parkinson) attempt the feat in Quantum’s ‘Red Hills,’ as the ghostly image of Mary (Ava Kepple) looks on from afar. photo: Heather Mull. A MASTERPIECE OF COMIC…TIMING by Robert Caisley. Through Sept.16, Little Lake Theatre. MISS ABIGAIL’S GUIDE TO DATING, MATING AND MARRIAGE by Ken Davenport and Sarah Salzberg. Through Sept. 17, Pittsburgh CLO Cabaret. 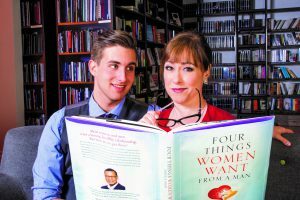 Javier Manente and Paige Davis star in the CLO Cabaret production of ‘Miss Abigail’s Guide to Dating, Mating and Marriage.’ (Davis has left for another commitment.) photo: Archie Carpenter. CORNINGWORKS: SIX A BREAST — The Absurd Life of Women by Beth Corning. Sept. 6-10, New Hazlett Theater. THE SCOTTSBORO BOYS (musical) by John Kander, Fred Ebb, and David Thompson. Sept. 8-24, The REP at Pittsburgh Playhouse. BOEING BOEING by Marc Camoletti. Sept. 14-23, Apple Hill Playhouse. 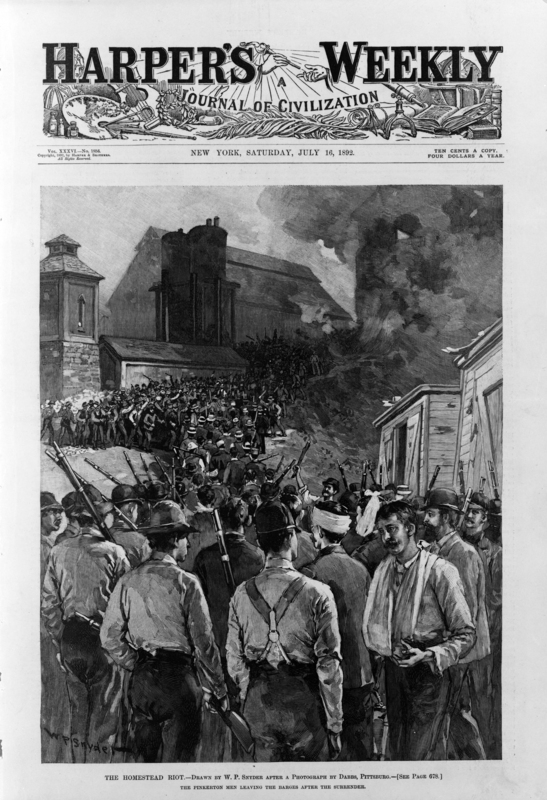 THE HOMESTEAD STRIKE OF 1892 by Mark Clayton Southers. Sept. 15-23, presented by The Battle of Homestead Foundation. The Homestead Strike made the cover of ‘Harpers Weekly’ in ’92, but it would be years before organized labor recovered. In 1892, Andrew Carnegie’s Homestead Steel Works had been growing into one of the world’s largest steelmaking plants. It was also one where an early union had gained a strong foothold, and that was about to change, in a brutal conflict reported nationwide. With a new contract due, the company proposed drastic wage cuts. The workers struck. The company, with battle plans in place, sent barges of armed Pinkerton agents upriver to break the strike. Strikers backed by angry townspeople fought them off, but the governor ordered in state militia to reopen the plant. And public sentiment, initially with the workers, turned against them when anarchist Alexander Berkman shot and nearly killed company president Henry Clay Frick. MURDER FOR TWO by Kellen Blair and Joe Kinosian. Sept. 19-Oct. 1, The Mountain Playhouse. IN THE COMPANY OF GHOSTS by Frank Ferraro and Adrienne Wehr. Sept. 22-24, presented by the artists. A FUNNY THING HAPPENED ON THE WAY TO THE GYNECOLOGIC ONCOLOGY UNIT AT MEMORIAL SLOAN-KETTERING CANCER CENTER OF NEW YORK CITY by Halley Feiffer. Sept. 23-Oct. 15, City Theatre. EQUUS by Peter Shaffer. Sept. 28-Oct. 29, Pittsburgh Public Theater. BOUNDLESS (ballet/modern dance). Sept. 29-Oct. 1, Texture Contemporary Ballet. EAST TEXAS HOT LINKS by Eugene Lee. Sept. 29-Nov. 5, Pittsburgh Playwrights Theatre Co.
Mike Vargo is a Pittsburgh-based writer and editor who covers theater for Entertainment Central. Christopher Maggio and Rick Handler also contributed to the guide.